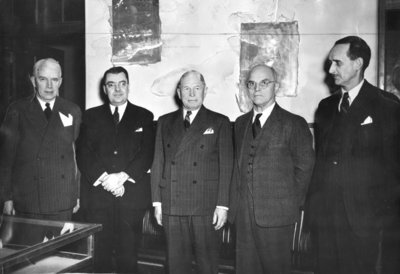 A black and white photograph of Ontario Hospital Officials. The gentleman second from the right is Dr. Donald R. Fletcher, Superintendent. Ontario Hospital Officials, c. 1950, The Daily Times-Gazette. Whitby Archives 13-001-400.